Mental Health and More...: Living the Pirate's Code to Become a Man! (or something like that). Living the Pirate's Code to Become a Man! (or something like that). As a therapist, I am always looking for new ideas on how to build a relationship with a client and help them to discover for themselves what they need to do to change. Back when I started I had all kinds of time to think up new creative methods. I was working mainly with children at the time and the movie Pirates of the Caribbean: The Curse of the Black Pearl had been released. I was amazed at how attractive the idea of being a pirate was to children. In fact, one little boy would use toy swords in our play therapy center and try to re-enact (with me) the scene where Captain Jack Sparrow and Will Turner dual in the blacksmith shop. He knew the scene word for word and even tried to do the footwork. It was fun, all except for the bruises I would get on my hands and fingers. When I say dual, I mean that I would stand there and try to not let the kid hit me. This activity brought to mind the possibility to create a level-based play-therapy treatment program for kids who were struggling with behaviors. 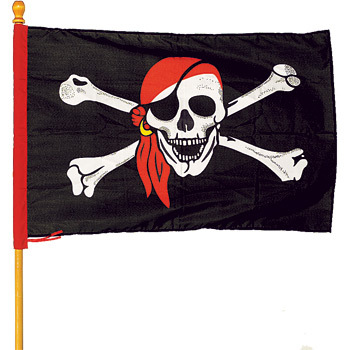 I began to research information on pirates and piracy (i.e. hierarchy on a ship; how money was divvied out; responsibilities of each individual on a ship; the pirates’ code, etc.). I found the information intriguing. So, I spent a few weeks writing up a treatment protocol for individual and group therapy based on the ideas of pirate hierarchy. I was only able to use some of the principles (due to funding) with some of the kids. They loved it, and I had fun with it! I wish I would have had more resources to do it at the time. It was specifically tailored for boys, rather than girls, but could have been adapted. Below is some of the information and ideas I compiled. It was just a fun “idea” and anyone is free to read it. I think I had been in the industry only for about a year when I started thinking it up. If anyone takes any ideas from it, just remember where you got it from. If you use it, modify it, and turn it into something big, I will only require a 10% payment of everything you make. Just kidding. This program will serve teenage and latency age populations, both boys and girls. The concern is that many of the positive characteristics and traits from older generations are not being learned by today’s generations. The reasons are not important, nor are they an emphasis in this approach. This program will involve an individual, group, and family therapeutic approach. The group therapy approach will be primary and the individual and family secondary. The goal of the treatment program is to provide a naturalistic therapeutic environment and activities that foster positive trait and characteristic growth, therapeutic healing, relationship building, and life skills training. It will be an 8 to 12 week program that is open/closed. Open, in that it will constantly be cycling through the objectives and activities so that anybody can join during any point of the process. Thus it is a continuous group without beginning or end. Closed in that once a person joins the group they and their parents or caregivers must sign a contract to complete the regime once it has begun. If a client misses a session then the group will hold a council to agree if the client should be allowed to come back into the group. The point of this is to teach the child the importance of loyalty to a group and integrity–fulfilling their word. It is recognized that there are valid reasons for missing a set appointment. It will still continue with a group council as this will foster growth for the group who will serve as merciful judges of the situation. The group must learn to work together and be compassionate in all situations. Other activities will be trust walks (preferably in a natural setting where there are trees and obstacles to challenge the clients. The clients will also be required to maintain an active exercise regimen which they will keep track of and be required to reach specific goals. Thus, they have many responsibilities to carry out. The main desire, also, is to provide an outdoor setting that has been purchased for the clinic that has natural resources, places to build a ropes course, and the capability of including possible farm animals such as sheep, etc. The purpose is to include animal care as a way to increase responsibility for others. The therapeutic healing aspect will be incorporated as a part of the group process. Naturally, many clients will have specific traumas and difficulties that they have not yet been able to overcome. Sand-tray work, EMD/R, and other non-traditional trauma resoution therapies will be provided on an individual basis. Those treatment goals will be individual to meet each client’s special needs. Many of these clients will have witnessed difficult things to comprehend and thus will need a compassionate and empathetic therapist to guide them through this process. The individual appointments will be made on a client-to-client basis. The main goals of the individual therapy will be to decrease symptoms related to trauma and provide individual life skills training to maintain personal mental and emotional health. Thus, the program will maintain the general purpose of the Trauma Awareness and Treatment Center. The purpose of this approach is to help young boys (ages 7-18) develop a strong foundation of attributes, traits, and characteristics that will help them survive as a strong person in society. The ideas were thought up after working with young boys and men who had been abused by a father figure, been through a divorce, or have never had a male role model. Most of these boys in this clinic have behavioral problems, lack of insight, past traumas, and other mental health problems. The hope is to help them become motivated through positive and negative consequences/reinforcements, achieving goals all while having a fun time in a positive therapeutic environment and a growth promoting home. The program ideas are not only based on helping motivate the child, but also to help the child’s primary caretaker become an integral part of the process. 1. Choose a male role model or more than one. Do research on them to describe what makes them a man and worthy of being emulated. 1 pg minimum. You may have the help of a parent or someone else that you choose. 2. Choose a few specific personal values and characteristics that define a man. (These attributes will be added to an already existing list to accentuate the personal values of the client). These attributes will be what constitute the treatment objectives–an increase in their ability to use and portray these values while decreasing negative symptoms and behaviors. The goal of the treatment is to create a foundation upon which the clients can build their own character. 3. The reward/consequence system will be progressive leading towards the final goal and objectives as stated in 2. The rewards will become greater with the client’s therapeutic progress and responsibilities. Therefore, the increase in rewards must have a positive correlation to the increase of positive behaviors and responsibilities as outlined by the treatment objectives. The child will maintain a journal or “crew log” of his assignments, daily observations, and positive and negative consequences. Each week he will be given two assignments from the treatment objectives and will receive small consequences for his actions, be they positive or negative. There must be a certain percentage of his ability to complete the assignments for him to progress to the next level. Each new level will involve new responsibilities on top of the prior responsibilities. Therefore, with each rank he attains, we will receive a greater reward plus greater responsibilities. The rewards will be defined in the description of each level. 4. The child’s parent(s) or caretaker(s) MUST be highly involved and follow through with the reward/consequence system. It requires consistency and love. It may also be necessary to involve other systems that are influential to the child. I.e. teachers, schools, clubs, other therapeutic centers. 5. The negative consequences must be awarded at the moment of the negative behavior, but in a positive manner that will give motivation for continued change and growth. I.e. “Reproving betimes with sharpness...and then showing forth afterwards an increase of love toward him when thou has reproved, lest he esteem thee to be his enemy; that he may know that thy faithfulness is stronger than the chords of death. Let thy bowels also be full of charity towards all men...” Doctrine and Covenants 121: 43-45. Thus the caretaker’s job is to provide a safe loving environment that fosters healing and change. If this is not provided the progress WILL FAIL. A parent will need to follow a love and logic approach to the consequence and reward system. They must not reward the child with anger or demeaning words as this will cancel out any other reward or consequence. The parent must display patience and good faith in their child despite their behaviors. However, the parent will provide the appropriate consequence for negative behaviors. The consequence would be best if it were related to the negative behavior. Most importantly as well, the child needs to have positive reinforcements that outweigh the negative. The rewards and consequences must be documented by a simple tally mark every day, as well as the completion of specific treatment assignments and the display of objective completions. 6. The actual treatment interventions will be pragmatic to fit each child’s unique neds. It will involve, however, modeling, psychoeducation, trauma resolution (all methods), parent training, experiential therapy, personal journaling, etc. 7. Each level will have a meaning with value to the client. They will be ranked and must be something personal and of intrinsic value to give the client a sense of pride, honor, and growth. (Boys Scouts program). The program is to serve as a right of passage of growth into manhood. The pirate ship and crew system will be used currently as a description of levels. Also, Black Bart Roberts democratic-like system will be implemented, although modified to fit the program. 8. The program will involve outcome measures. The BASC or Achenbach will be administered before and after to measure symptoms/behavior progress. There will also be brief symptom/behavior measures filled out weekly by the primary caretaker (use Joe’s children’s group measure). 7. Kind and loving and knows how to discipline in a positive manner. 10. Can provide for, and protect his family in an effective manner. One example of a man that can be emulated is the 16th US President, Abraham Lincoln. Information on his life and character can be found from multiple sources. Not only was he the President, but he was a man who suffered from severe depression, but found the inner strength and motivation to maintain a strong quality of life. He overcame many downfalls and unsuccess. The following is a beautiful poem written by Walt Whitman after President Lincoln’s assassination. It describes Lincoln as a Captain of a ship that had “weather’d every rack,” yet was victorious in its purpose and ended in his death. 193. O Captain! My Captain! Though no universal code of conduct was acknowledged by all, many pirate captains established a set of rules with which each crew member was expected to comply while on board. Many of these social contracts were remarkably democratic for their time and place in the world. As pirates, sailors had an unprecedented level of control of their destiny. In an assault to the traditional command structure at sea, pirate captains allowed the crew to vote in a new captain if a dispute warranted it. Good leaders gathered the support of their men, and many well-known pirates achieved their stature not by force, but by majority vote! Another revolutionary concept was the pirate welfare system. Crew members injured in battle were given compensation for their injuries on a sliding scale of severity. A leg, for example, would have been worth more than an eye. The eleven-article contract below was used by Black Bart Roberts. It must have been effective, for he was one of the most successful pirates of all time—capturing more than 400 ships over the 30-month span of his career. Level 1: Powder Monkey–scrub brush and crew log. This term was first used in the British Navy for the very young men who made up most gun crews in the 17th century. In contrast to a pirate officer who was elected, these men were forced to perform what was some of the most dangerous work on the ship. They were harshly treated and rarely paid, and if they avoided being mortally wounded in their service, desertion was probably as attractive as having very little hope of being promoted. Level 2: Gunner–pistol. A gunner would be the leader of any separate group manning artillery. His special skill would be in aiming, but he would oversee the four to six men required to take the gun through the steps of loading aiming, firing, resetting, and swabbing for the next load. He would also work to ensure the gun crew’s safety in avoiding dangerous overheating or excessive recoiling of the weapon. A master gunner would help to coordinate the timing and accuracy of the individual crews especially when a broadside was ordered. Level 3: Boatswain–bag of gold. This position may be compared to the modern chief petty officer. A boatswain’s whistle. A ship of any size would require the boatswain to oversee several junior officers who would share his responsibility for the crew’s morale and work efficiency as well as the maintenance and repair of the hull, rigging, lines, sails, and anchors. Level 4: Quartermaster/First Mate. Some pirate ship crews had this position as the captain’s right-hand man and the one who would assume his role if he were killed in battle or could no longer perform his duties. This was often considered the job of a lieutenant in a regular navy, and most pirate crews chose a quartermaster instead of a First Mate. A large portion of the captain’s traditional role and power into the hands of an elected quartermaster who became second-in-command and almost a co-captain through his representing the best interests of the crew. As a foreman, he was in charge of maintaining order, distributing rations and supplies delegating work, and guarding and dividing plunder. In fighting, the quartermaster decided what ships were worth it and often led any boarding party, ultimately deciding what loot to keep. When discipline or punishment was necessary, only he could give it, but even then it was with the agreement of the captain or the vote of the crew. He was more or less second in command. Level 5 and Final Level–THE MAN OF MEN! : Captain. He was elected as a sort of president of the shaky ship democracy, someone already respected for their leadership and navigation skills who would be level-headed and decisive in the heat of battle. He had to be cut from a different mold, because previous experience had taught most that life at sea was harsh enough without an inexperienced or cruel leader making it worse. It was during engagements that this man would be expected to rise above and help bring victory, but in most other occasions on ship, he was more or less another voting member, delegating most of the everyday tasks to the quartermaster or other junior officer. In these times, he was to be an even-tempered father who maintained the barest level of discipline necessary to hold the family venture together. This father could be voted out and even thrown off if he became passive or wavering, went against the majority vote, became too brutal, or simply no longer performed his duties to the liking of the pirate ship crew. Finally, the following is one idea of how the consequence system can be tallied on a weekly basis. The desire is for the caretaker and the child to work together in maintaining a tally of the consequences and objectives that are completed during the week. The actual scoring system will be kept by the therapist. It is highly important for the caretaker to be objective during the weekly tallying.